With the advent of DNA and forensic technologies, crimes are now being solved in a much more effective manner. Fewer wrongful accusations are being sent to prison, those who have been incarcerated are being exonerated and many cold cases are being brought back to life as new forensic evidence offers detectives more insight. One such case is currently on trial in Sheboygan County, Wisconsin. According to the Sheboygan Press, Ruby Klokow was accused of killing her 6-month-old daughter Jeaneen in 1957. The woman pleaded not guilty and stated that her child fell from the couch and onto a carpeted floor. But, the woman's son, James Klokow, told the police in 2008 that he suspected his mother may have actually killed the girl. Furthermore, a forensic pathologist re-examined the autopsy results and reports, saying the injuries the baby sustained could not have come from that fall. "I want to settle it," Joe DeCecco, Sheboygan County district attorney, told the source. "But if we settle it by agreement, we'll go to trial and let a jury decide. Obviously, I want it resolved." 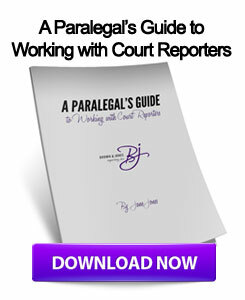 As this particular case extends back to 1957, it may be critical for litigators and judges to access the deposition transcripts and other manuscripts from the initial case. Without realtime court reporters to help preserve history and ensure the posterity of the legal system, lawyers and judges may not be able to accurately settle this 55-year-old case. 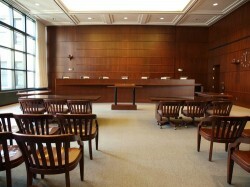 By partnering with Milwaukee court reporters that also offer video deposition services, lawyers will be able to acquire a much more comprehensive record of deposition transcripts and other meetings, allowing them to represent clients more effectively. This entry was posted on Thursday, November 8th, 2012 at 9:37 am	and is filed under All Posts, Wisconsin Legal. You can follow any responses to this entry through the RSS 2.0 feed. You can skip to the end and leave a response. Pinging is currently not allowed.